This is a preparatory post for the next blog post (UPDATE: next blogpost is now available). This first post is detailed enough that it needs a standalone blog post, and can kind of be its own topic. This post is more theological in nature, while the subsequent post will be more current events oriented. Nevertheless, in order to make the claims in the subsequent post, I need this post as a basis. I give a hint as to the next blog post at the end of this. Is the Covenant of Daniel 9:27 a Security Covenant? The Bible predicts that a future Roman ruler, the Antichrist, will confirm a seven year treaty with Israel. Halfway through that treaty, he will set up the abomination of desolation. 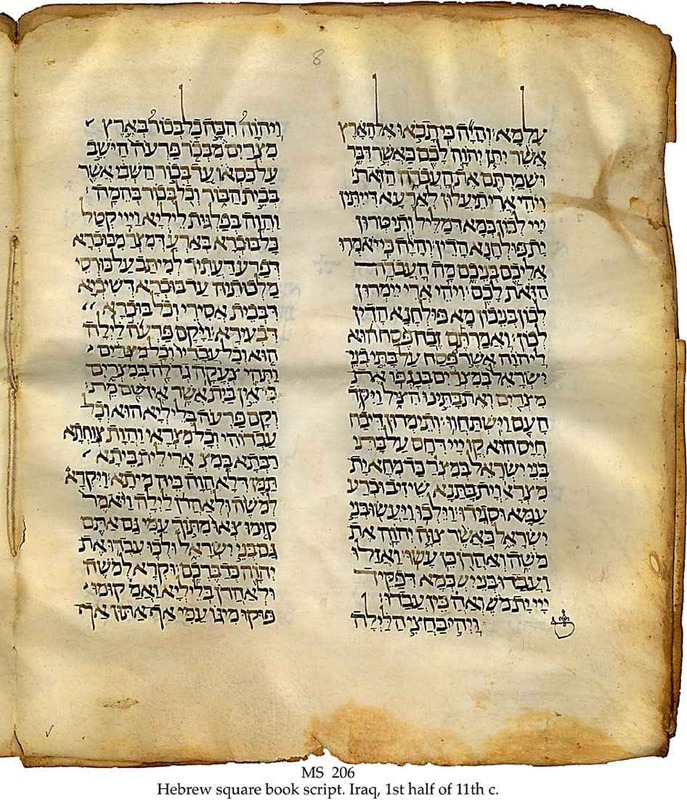 The Daniel 9 never explicitly states the terms of this covenant, only its duration of 7 years. Theologians generally assume that Israel is one of the contracting parties, because the entire 70 weeks prophecy in Daniel 9 pertains to the Jews and Jerusalem. Though it never explicitly states the terms of the covenant, we can see a variety of passages that support the view that it is some kind of arrangement that guarantees Israel's security. While it is unwise to be dogmatic on this point, the cross references to Daniel 9:27 certainly lend support to the idea that it is some kind of security arrangement, though we cannot be certain of the exact terms. Zechariah 11 talks about a Good Shepherd (Jesus) of Israel, and a "worthless shepherd" who "deserts the flock." This worthless shepherd is also wounded by the sword in the eye and the arm. (This reminds us of the mortal wound the beast receives from the sword). Many theologians believe that the worthless shepherd is the Antichrist. Furthermore, it says he deserts the flock. This shows theme that the Antichrist was supposed to protect Israel, but he abandons them. Isaiah 28 talks about a "covenant with death" that Israel makes. The passage seems to imply that Israel depends on this covenant for protection from an "overwhelming scourge." This seems to be a reference to armies. It also uses water and flood language, which is often used of end time armies. (Revelation 12; Daniel 9:26-Daniel 9:27) Here too, the theme of protection is found. Because of this treaty, they think they will be safe. But it turns out to be a worthless covenant. Is the Covenant of Daniel 9:27 Created or Enforced? In Daniel 9:27, the word that is used for making/confirming the covenant is not the typical word used for making a covenant. Most words use a word along the lines of to cut/make. The word used is the hiphil tense of the word "gabar," rendered "we higbir." Here, at Blue Letter Bible states the definition of "gabar" in the hiphil tense. I did some Internet research on "wehigbir" and found some interesting results. The first interesting observation I found was that many preterist authors and theologians use the meaning of this word as evidence against the pre-millenial/futurist point of view. They say that this word does not refer to the creation of a new covenant, but the confirmation of one that already exists. To them, this is proof that it is not a future agreement with the Antichrist, but the Messiah confirming a covenant with Israel through the death on the cross. Furthermore, some other books about Bible prophecy (who take a futurist viewpoint) say that this means that the Antichrist will confirm some existing agreement, such as an existing peace process framework. (Though this view is in no way universal). Besides other insurmountable issues with the preterist interpretation, the view that "wehigbir" could refer to the confirmation or strengthening of an existing covenant in no way proves preterism. Indeed, the Antichrist could easily confirm an existing covenant. Here are five translations of Daniel 9:27 side by side. Notice the footnote in the Holman Bible (far right). Evidently the hiphil tense is "causative" in some cases. In addition, the only instance of "gabar" in the "hiphil" perfect tense is found in Daniel 9:27. The other time gabar is used in the hiphil tense in the imperfect tense is found in Psalm 12:4. Notice, the overwhelming use of the word "prevail." I went to a Hebrew language forum, and perused a thread about this very topic. The people there seemed to know what they were talking about, as in might actually know Biblical Hebrew. I found some interesting ways in which they would have preferred to translate that part of Daniel 9:27. So it seems it is quite a viable option to read it as the strengthening or prevailing of a covenant. Which illustrates the tension found in the comparison of Daniel 9:27 translations. Most of the literal translations say "strong" or "firm." But NIV, says "confirm" and Holman Bible footnotes it and indicates it can mean enforce. Implications for the European Neighborhood Policy? These translations/interpretations are quite interesting, especially in light of the fact that the EU has a recurring 7 year foreign policy framework for seven years. Israel is one of the several countries in the European Neighborhood Policy. This policy rewards countries with financial benefits in exchange for meeting the reforms and goals outlined in the countries action plan. It is funded on seven year framework, called the European Neighborhood Instrument. 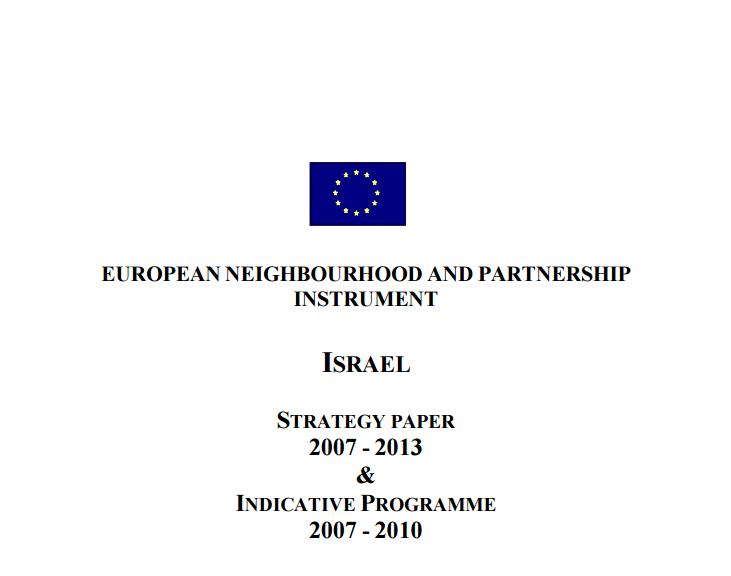 The first program like this was called the European Neighborhood and Partnership Instrument, effective January 1, 2007 - December 31, 2013. The second program is effective January 1, 2014- December 31, 2020. European leaders have admitted that this program is not having the desired effect, since the EU's "neighborhood" is a "ring of fire" with all the crises and political catastrophes. The ENP is not having the desired effect of bribing them into respect for "democracy, human rights, and rule of law." Therefore, the ENP is up for review by the end of 2015. Efforts in the past to enhance or "strenghen" the program have not been terribly effective. Hence the ENP Commissioner has been charged with presenting a comprehensive review of the program. Which leads me to my next blog post. Do we have any ideas on how the EU wants to change its relationship to the neighborhood? What are their foreign policy objectives? Though we don't have much information, do we have any hints of what the EU's future relationship to the neighborhood will look like? Where did you come from where are you going? Website: Who will be left behind and when?